This guide to historical theatrical London is a must for theatre lovers either visiting London or for the residents who may not know that each day they pass, quite unknowingly, famous sites connected with London's past. When you walk in the footsteps of Garrick, Irving, Kean, Ellen Terry around Covent Garden somehow you will find that their spirits will enter your bones. Spend time finding the great restaurants that they frequented and revive their money. For the first time, places of theatrical interest are included which you won't be able to find on street maps of Theatre What's On brochures. Visit the Actors' Centre, the Dress Circle shop, the Theatre Museum or for theatrical memorabilia, David Drummond's shop in Cecil Court. The read on to discover where some of these famous theatre personalities and playwrights lived when they were not walking in England. 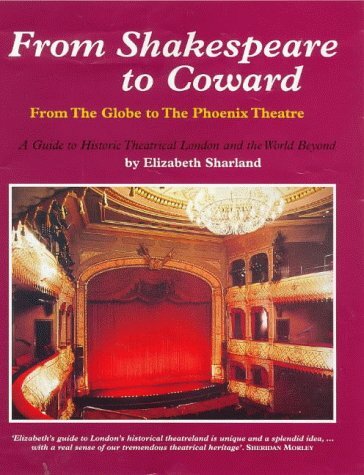 Elizabeth Sharland has had three plays produced in New York and two in London. She formed an English speaking theatre company in Paris, worked for Yul Brynner on Broadway, and has produced this book about the theatre, based on six years in the West End using over 200 actors in showcases. She trained at the Guildhall School of Music and Drama and joined the Old Vic Company to tour Australia.